Not only does this program reintegrate individuals with substance use disorder into the workforce, it also gives these individuals higher education such as trade degrees, professional development services and hands-on experience as well as an extensive addiction recovery monitoring program. This program utilizes a 33-6-3-Plus work model developed by Coalfield, West Virginia Sober Living (WVSL) and Ascension Recovery Services. 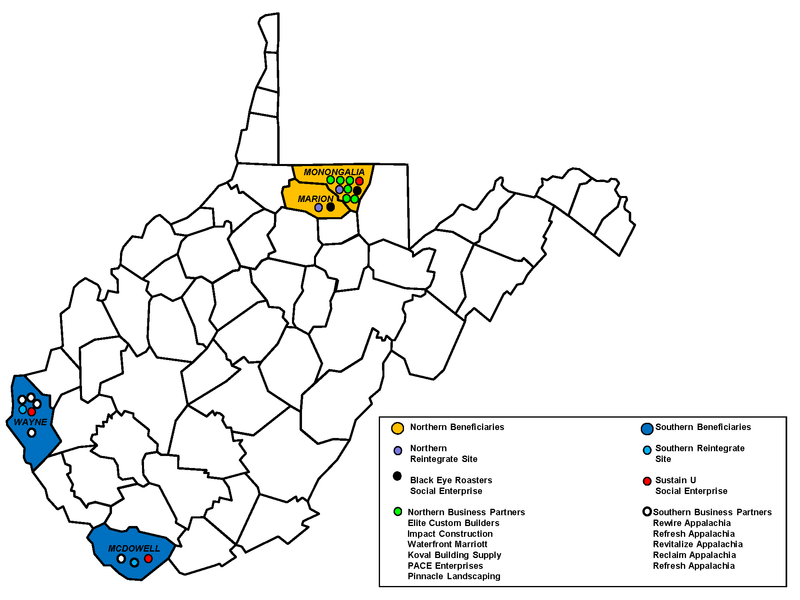 Reintegrate Appalachia is also being supported by WVU Health Sciences Center. The 33-6-3 program will provide meaningful full-time employment (33 hours weekly), ready access to higher education in the community college setting (6 hours weekly), and access to a professional development curriculum (3 hours weekly). The monitoring program (Plus) provides safe, free six-month transitional living along with a recovery monitoring program implemented by a team of Licensed Professional Counselors (LPCs) / Licensed Clinical Social Workers (LCSWs) and Peer Recovery Coaches (PRCs). The Reintegrate Appalachia goal is to become a sustainable enterprise. At this time, outside funding will help propel Reintegrate into sustainability and give us the ability to help people. You can click here to donate.